My good friend came for lunch and I wanted to make it special but not go crazy. The menu was kind of nice. 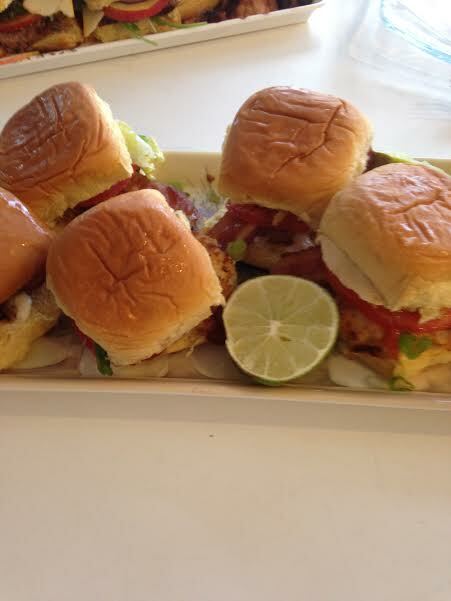 Corn chowder, scallop sliders, grilled pork sliders. sausage salad with balsamic dressing and spinach pies. Tea and cookies were an after thought. I love to cook for people I like so this was fun. Start with a package of dinner size potato rolls. They are nice and soft. Pat dry 8 large scallops. The scallops should almost be the size of the roll. Dredge them in a 1/2 cup of flour with 1/4 teaspoon salt and 1/4 teaspoon black pepper. Mix two tablespoons butter and two tablespoons of oil in a nonstick skillet. Heat on medium high and place each scallop in the hot pan and don’t move them or let them touch. Cook for a couple of minutes till there is a nice brown crust on the bottom. Turn over and brown the other side. Slice open the rolls and put a 3/4 teaspoon of tartar sauce on one side. I didn’t even know what bulgar wheat was till I moved to Worcester. It is delicious when you know what to do with it. This is a recipe my friend gave me that I changed a little. One cup of bulgar wheat. Wash the wheat and carefully drain the water off. It is too fine to put in a strainer so just try to get as much water out as you can. 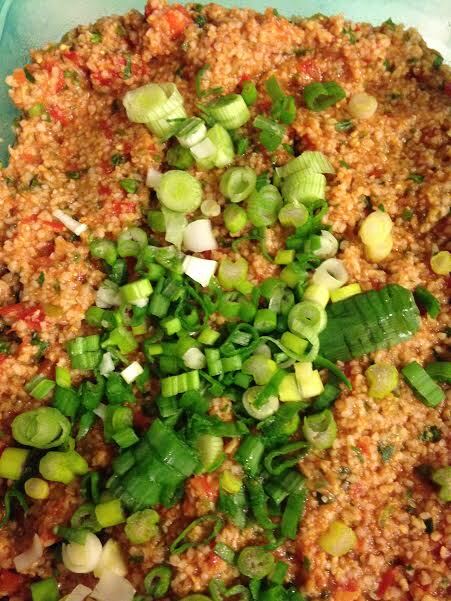 Put the onion, red pepper and parsley in the food processor and pulse till a fine chop. My friend dices and chops everything by hand. Add to the bulgar and tomato sauce. Dice the scallions and set aside for the topping. 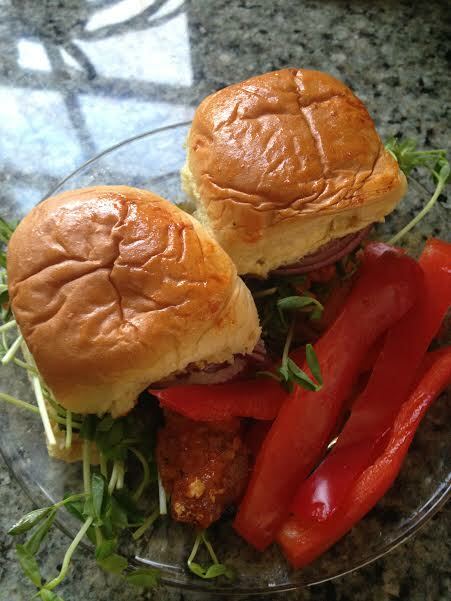 On November 9, I gave you the recipe for Buffalo Chicken but today I am giving you the sandwich. This is so easy and you can even buy some pre made chicken and make a ton of these for you next party. Now pick which dressing you like and add it to the other side of the roll. Serve with the sliced red peppers on the side instead of chips. Believe me the tray of sandwiches will disappear. This is another one of my Moms recipes. She used to cook these every holiday and would forget to serve them. So a lot of the time we ate them for dessert. One cup of Italian seasoned artichokes. 3/4 cup grated parmesan cheese. 1/2 small can chopped black olives. 3 tablespoons chopped fresh parsley. Hold them by the stem and smash them on the counter to open the leaves. Cut the stems off so you have a flat bottom and peel the skin off the stem. Place the stem into the center of the choke with the three cloves of garlic. Mix together the rest of the ingredients. 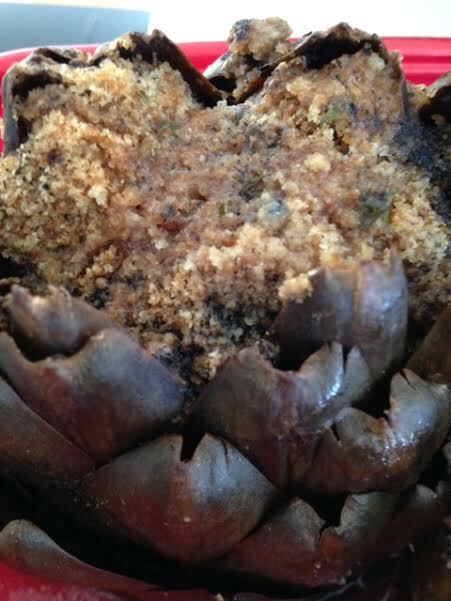 Separate the crumbs into thirds and stuff each artichoke. Place the artichokes into a pot. They should fit tight. Fill the pot halfway up the chokes with water. Salt the water with 1/2 teaspoon of salt. Sprinkle the chokes with extra salt and pepper. Drizzle each with 1/2 teaspoon olive oil. Bring the water to a boil, cover the pot and then simmer on low for one hour. Test the chokes by pulling off a leaf. They should come off very easy and be soft. Serve as an appetizer, meal or dessert. I made this for my sons birthday. He loves key lime pie. It is better than any pie you have ever had. 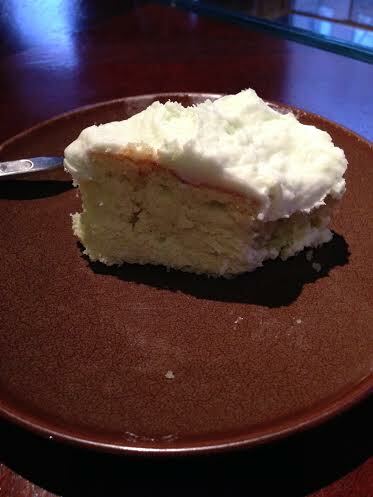 The recipe is a take off from Pillbsbury creamy lemon lime cake. Mix the cake mix, seltzer, oil and eggs. Beat at least two minutes till nice and smooth. Pour into the pan and even it out. Bake 28 minutes till the knife comes out clean. Poke holes in the top of the cake about one inch apart. Do not go all the way to the bottom. The holes need to be big so use a spoon handle. Next mix the condensed milk, 1/3 of the heavy cream and the lime juice. I put this into a pastry bag because the mixture is so thick it is hard to get into the holes. Spread the remainder on top of the cake. Beat the remaining 2/3 cup of cream till stiff. Add the rest of the lime juice and the can of frosting and beat everything together till smooth. This has to be refrigerated because of the cream but it won’t take up to much room for long. So good, so bad, so gone. Thank you Pillsbury. Hope you like my changes. I was at the store and they had veal stew pieces on sale. I always use veal cutlets so this was a challenge. 4 pounds of veal stew meat cut into dime size pieces. Add the veal that has been dredged in the flour ,salt and pepper. Don’t touch the meat until it has a nice brown crust then turn it over to brown on the other side. Turn everything into a ovenproof casserole dish with a lid. Deglaze the browning pan with 3/4 cup of white wine. Pour the beef broth on top and Bake at 350 for two hours with the lid on. The veal becomes so tender and the broth thickens up so it is almost a gravy. 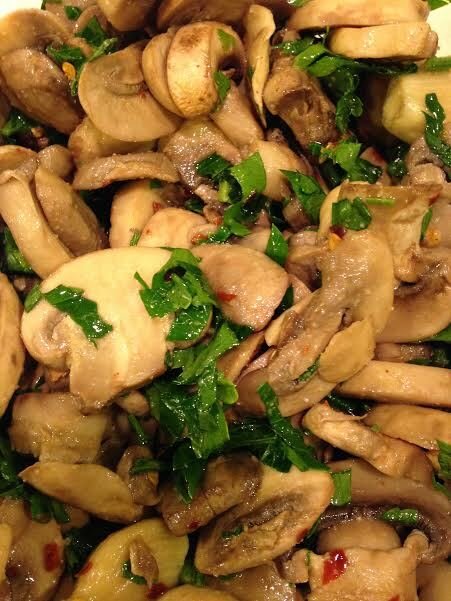 Cook till soft then add the mushrooms and thyme. Season with salt and pepper and serve with a great loaf of bread. You can also put this over pasta, rice or mashed potatoes. I keep the meat and mushroom mixture hot in a large saute pan. When the ravioli is cooked I just place them right into the sauce with a slotted spoon. This was a great buy and a big hit. My Mom used to make these all the time and I love them. 5 eight ounce boxes of mushrooms. Let boil for three minutes and drain in a strainer. Add everything else and let sit for 24 hours.